A lot was happening then. Here's some listing: traffic lights, hair dryer, lie detector, cotton swabs (which now after 100 years will finally be banned altogether), cheeseburger, pop-up toaster, bubble gum, penicillin, electric razor and even the Jukebox, invented by The Automatic Music Instrument Company in 1927. It was originally called "juke joint" until the word Jukebox came into use in the 1940's. One more invention: sunglasses. And I do not mean the Chinese smoky-quartz predecessors of the 12th century. The modern sunglasses became popular, especially among the film stars, in the early 1920's. They were made from celluloid and were first mass-produced by Sam Foster in 1929. Now what would summer be without the sunglasses! The sunbeams would blind your eyes all the time. And even more important: it would be impossible to maintain that mysterious diva elegance if everybody could see your eyes! If you don't believe me... well, just ask Audrey. Especially the one on the left with red feathers - and a grim face - so suitable for an independent, roaring woman of the 1920's. Designed by a chic Parisienne Atelier Bachwitz in 1922 these clothes draw us a picture of the body image of the period: long and flat with pointy shoes. However I'm sure 1920's women were nothing but flat! Especially flappers who "wore short skirts, bobbed their hair, listened to jazz, and flaunted their disdain for what was then considered acceptable behavior". Nowadays many people associate short flapper dresses with a funny feather headpiece as the only style of the 1920's, mainly because of the Great Gatsby movie. But there was much more variety then and dressing as always depended on the social status and wealth. The colours were not very strong but rather muted and soft. Simple -- and often short -- hairstyle (especially for younger women) and usually not so much jewellery, perhaps simple dangling drop-shaped earrings. Back to these Atelier designs: Mon Dieu - they do look so elegant! The evening dresses of the crème de la crème were made of silk, lace and taffeta, the embellishments of fur, feathers and sequins (if you could afford it...). For rich people there were clothes for every occasion. I bet special clothes were made only for promenading around the Jardin du Luxembourg while humming chansons in the dim light of the evening! Along my newest project, focusing on the music of the "Roaring Twenties" I'm also in the process of gathering broad information about the period. 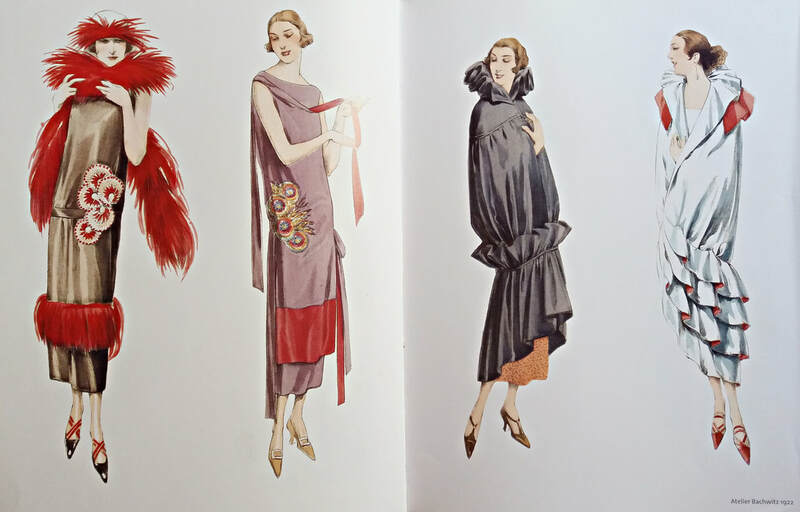 I read books (such as "Jazz" by Toni Morrison and Wodehouse's Wooster & Jeeves stories) and investigate Art Deco fashion (which by the way was originally a French style and first appeared just before the World War I ). 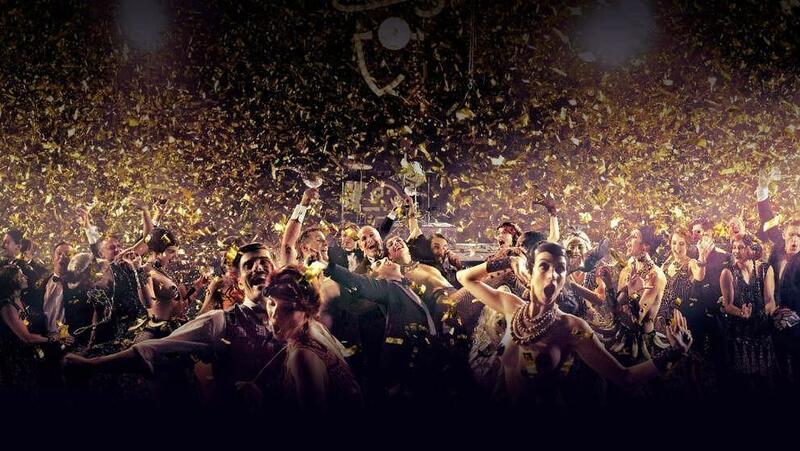 There is also a television series which hooks me night after night: Babylon Berlin. The second episode introduced us a fe/male performer who was amazing yet another detail really got my attention: the funny banana skirts of the chorus line dancers. Why on earth are they wearing bananas? Because... there was a very famous Parisienne dancer, entertainer, activist and French Resistance agent Joséphine Baker whose iconic and scandalous banana girdle became the symbol of the Jazz Age in the 1920's! ​Now that's quite a legacy!